Chestertown bed and breakfast travel guide for romantic, historic and adventure b&b's. 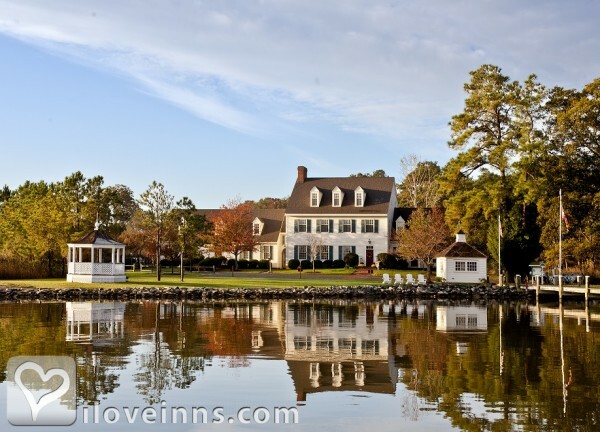 Browse through the iLoveInns.com database of Chestertown, Maryland bed and breakfasts and country inns to find detailed listings that include room rates, special deals and area activities. You can click on the 'check rates and availability' button to contact the innkeeper. Chestertown has become a perfect vacation destination. The people are warm and friendly, the atmosphere is very relaxing, and there are amazing Chestertown bed and breakfast inns. Go shopping at Fountain Park and take the time to shop at Farmers' Market or at Artisans' Market. The waterfront area of Chestertown is also a favorite destination. Check out the Schooner Sultana, which is an educational sailing ship built in the town. Buyboat and Skipjack owned by Echo Hill Outdoor School is also found there. In the evenings, watch live performances at Prince Theatre. There may also be a Concert at the Park. An interesting time to visit Chestertown is when it is also celebrating Tea Part or the Wild Owl Festival. By White Swan Tavern, Colonial Inn. Welcome to Chestertown, Maryland on the banks of the Chester River.A visit to Chestertown offers a blend of history, arts, shopping, and an exciting variety of lodging and dining experiences. Home to the Schooner Sultana, Chestertown provides a link to the maritime heritage of the Chester River and the Chesapeake Bay.The county seat of Kent County, on Maryland's Upper Eastern Shore, Chestertown is surrounded by the rich tapestry of farmland and Chesapeake Bay estuaries that almost surround the county with water. By The Inn at Mitchell House. Chestertown lies at the banks of Chester River and the town is blessed with several interesting destinations. It is because of these that this once sleepy town has been transformed into one of Maryland's best vacation areas. Chestertown bed and breakfast inns have taken advantage of this situation. In the evenings, spend hours of entertainment at Prince Theatre, where live performances are frequently held for public viewing. Walk along the waterfront promenade, a well-kept scenic attraction in Chestertown which features views of the schooner Sultana. Other beautiful boats that are often in town are the Skipjack and Buyboat, both owned and maintained by Echo Hill Outdoor School. Spend a lazy afternoon just sitting at the Fountain Park or shop at the nearby Artisans' Market and Farmers' Market. Remember to stay at a Chestertown bed and breakfast and you will be delighted with your entire getaway. By Great Oak Manor. Chestertown, Maryland was founded in 1702 and is home to Washington College. The historic town sits on the banks of the Chester River. By Brampton Bed and Breakfast Inn.